One of my favorite areas of France is the Loire Valley, located in the central part of the country, about 115 miles (185 km) southwest of Paris. 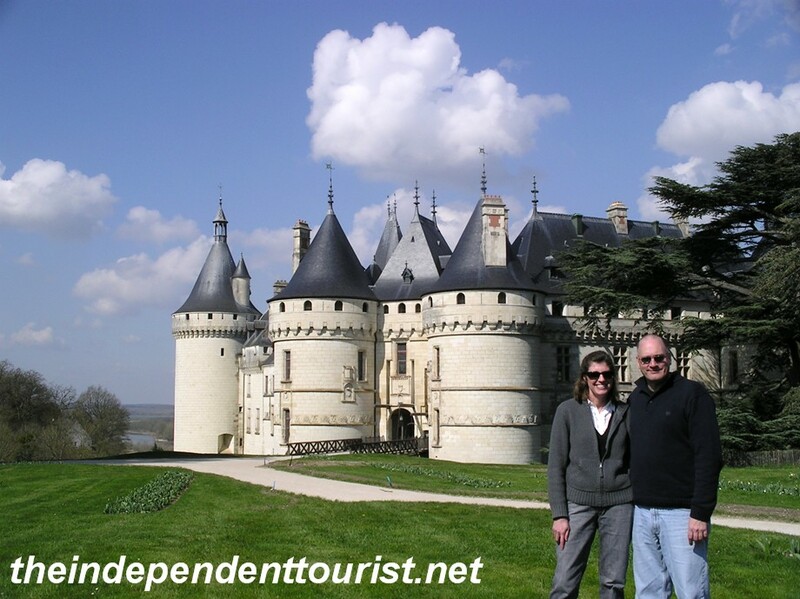 There are over 300 chateaux in this region, all harken back to the days of the French aristocracy. The ostentatious display of wealth as evidenced by the chateaux and their extensive lands and gardens helped lay the groundwork for the French Revolution in 1789. 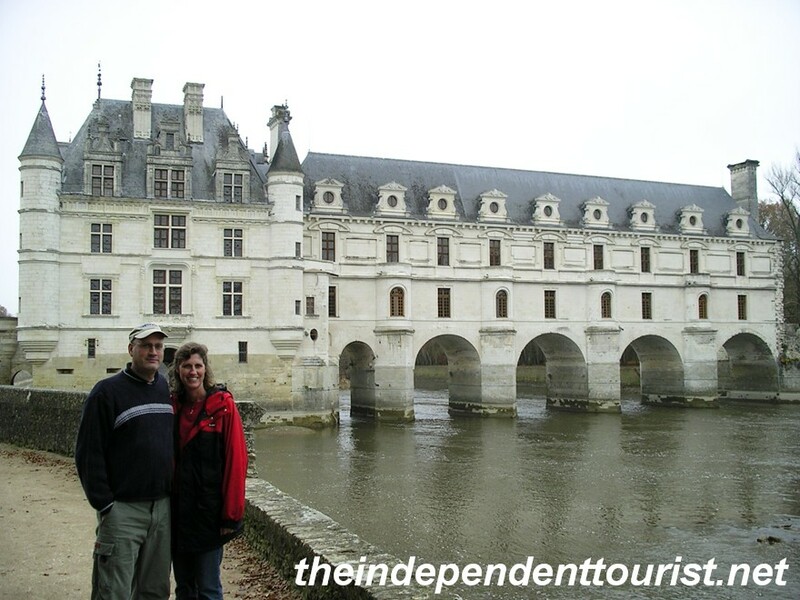 Many of the chateaux were built in the 1500’s, and a number of them are open to tourists. I love visiting historical sights and these elegant chateaux are fun to explore, each is unique in its architecture and many have beautiful gardens also. Blois Chateau, in the heart of the city of Blois. I highly recommend spending at least a couple days in the Loire Valley to see several of these beautiful structures. 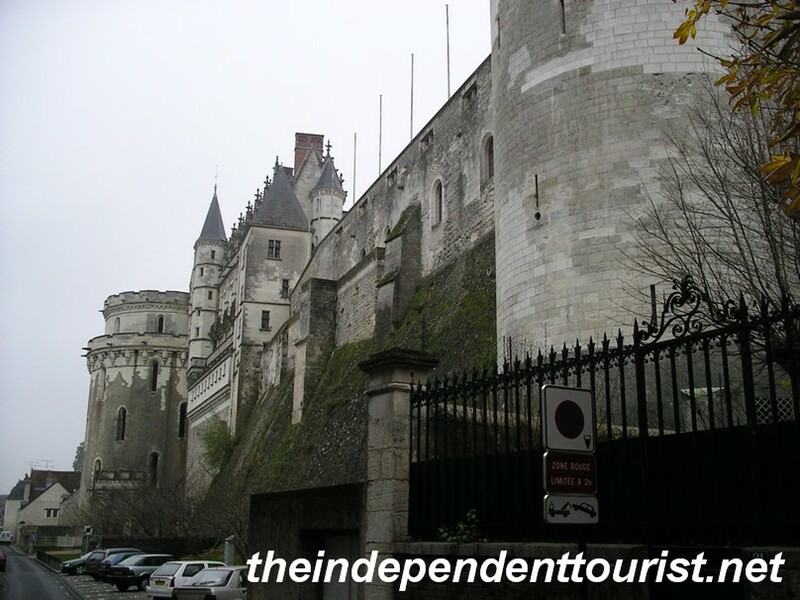 Good bases for exploring the area include Blois, Amboise or Tours. I have a hard time picking a favorite. 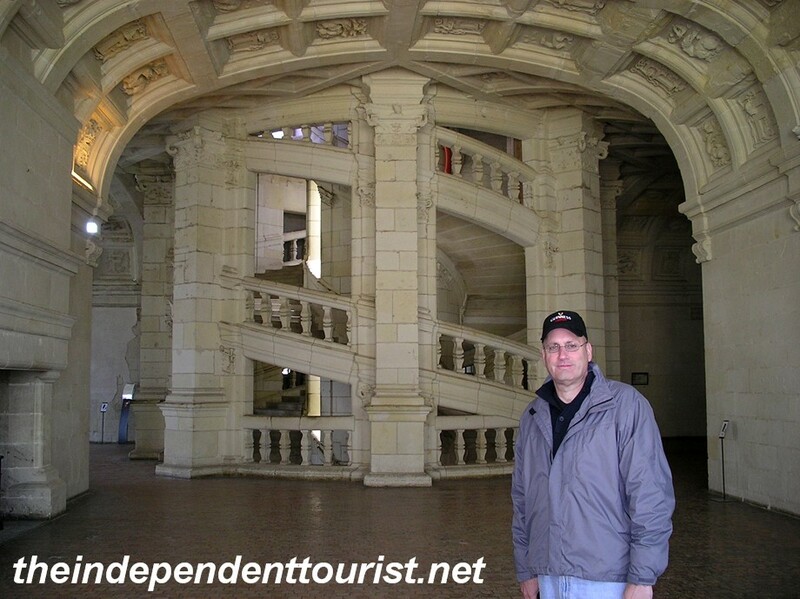 Some are very large (Chambord is huge) and others are smaller but have more elaborate interiors and decorations. Although it’s called the Loire “Valley” the area is quite flat, agricultural, and a popular bike route. Chenonceau (along with Chambord–below) is considered the Renaissance masterpiece of the Loire Valley. The main castle was built from 1513-1521. 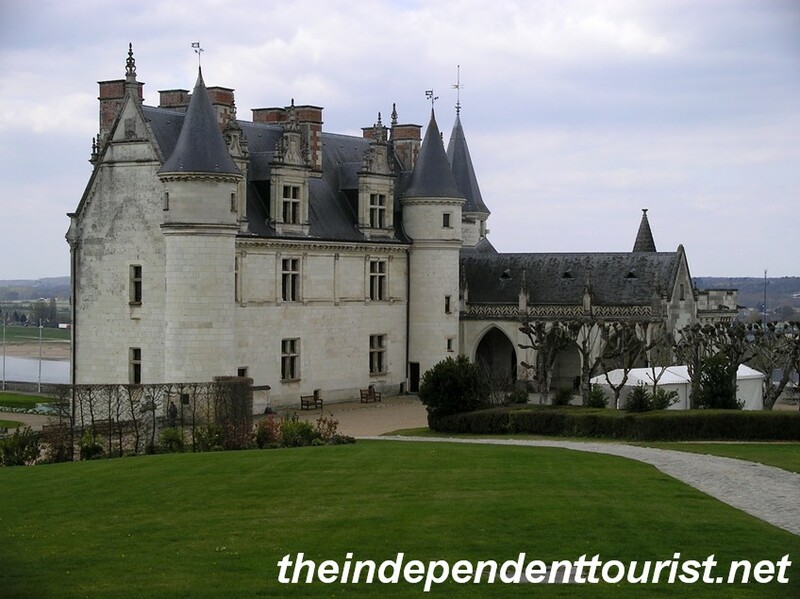 It was the home of the mistress of King Henri II (Diane de Poitiers) in the mid 1500’s. 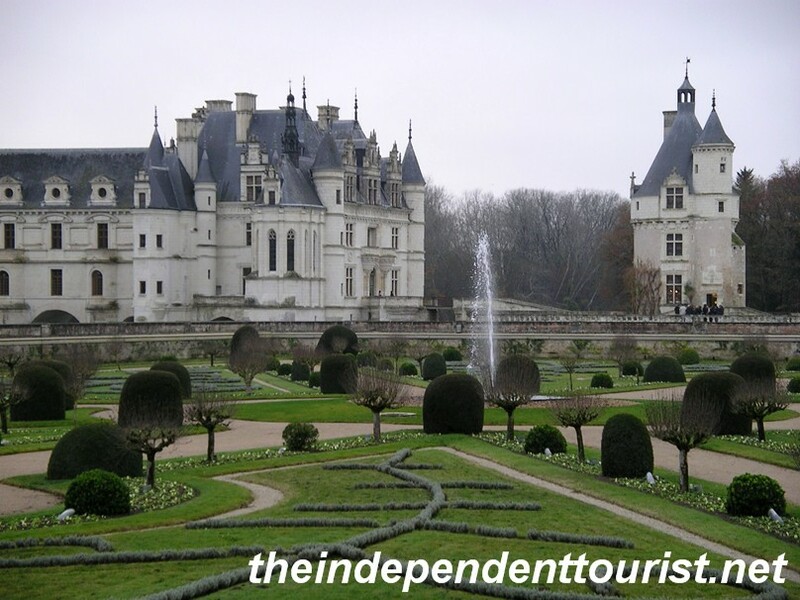 A view of the Chenonceau gardens and castle. There are a number of beautiful tapestries here, but it was hard to get interior pictures as they weren’t allowed. The gallery of Chenonceau spanning over the River Cher. The long two-story gallery spanning across the Cher River was built in 1570 by Catherine de’ Medici (wife of King Henri II) and was used as a hospital ward in World War I. In World War II, the far bank of the river was the border of the free zone of France and passing through the gallery meant escaping from Nazi occupied France. The largest of the Loire Valley chateaux, Chambord was begun by King Francios I in 1519, and later finished by Louis XIV in 1685. A view of the keep (central towers) of Chambord Chateau. It has 440 rooms and was a “hunting lodge.” One of the most unusual features is the roof, with highly decorated towers and chimneys. 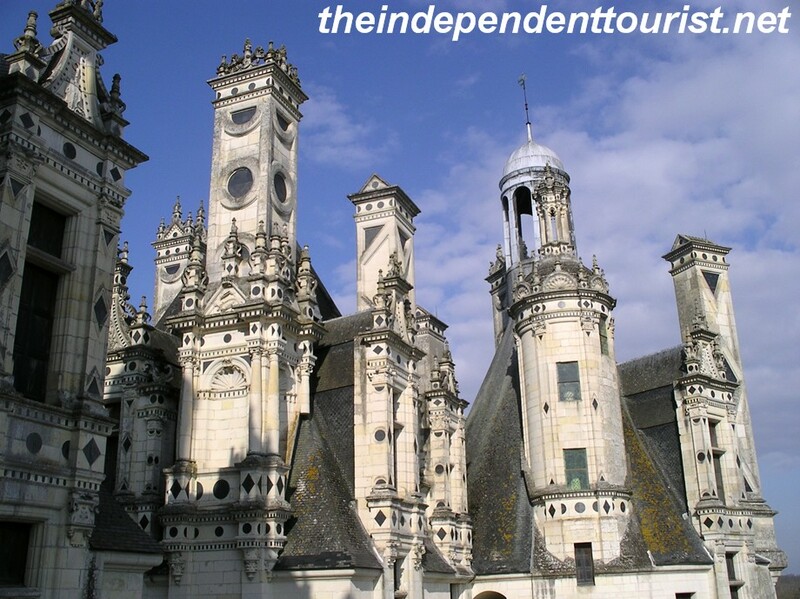 The roof towers and chimneys at Chambord Chateau. The interior is largely bare and open. The double-helix Grand Staircase – note the two stairways. The Grand Staircase, with the “double helix” construction, was supposedly designed by Leonardo da Vinci. The design means that someone going up the staircase and a person going down would not meet! 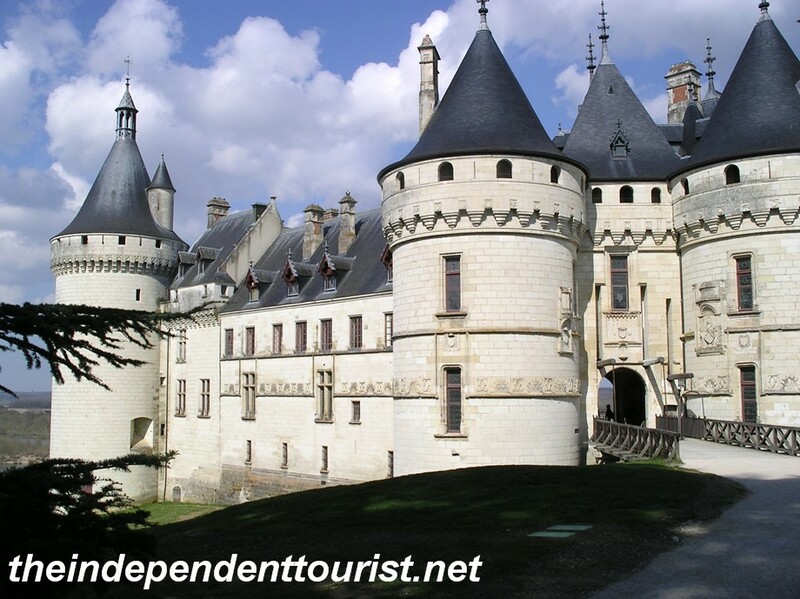 Chaumont was built in 1445 on the grounds of an earlier castle from the 10th century. The rebuilt chateau was designed less for defensive reasons but still has the feel of a medieval castle with a drawbridge, turrets and crenellated walls. Chaumont Chateau has the look of a medieval castle. Another view of Chaumont Chateau. When Diane de Poitiers was kicked out of Chenonceau by Catherine de’ Medici after King Henri II’s death, she was moved here. While not as elegant as Chenonceau, it’s still not too bad of a place to live! 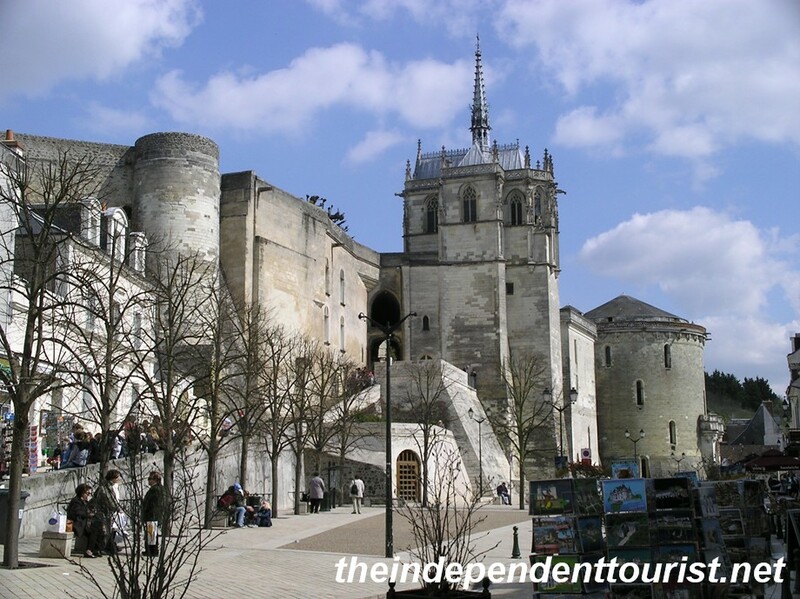 Amboise is a great medieval town, in addition to having a 15th century chateau and the nearby Gothic Chapelle St-Hubert, Leonardo da Vinci’s burial spot. The Chapelle St-Hubert sits on top of the walls of Amboise. It’s the final resting place of Leonardo da Vinci. A view of Amboise Chateau from the courtyard. The chateau has quite a place in French royal history with several kings either having been born or raised here, or living and dying here. Catherine de’ Medici’s 10 children also were raised here. Another view of the walls of Amboise with the Chateau overlooking the edge. 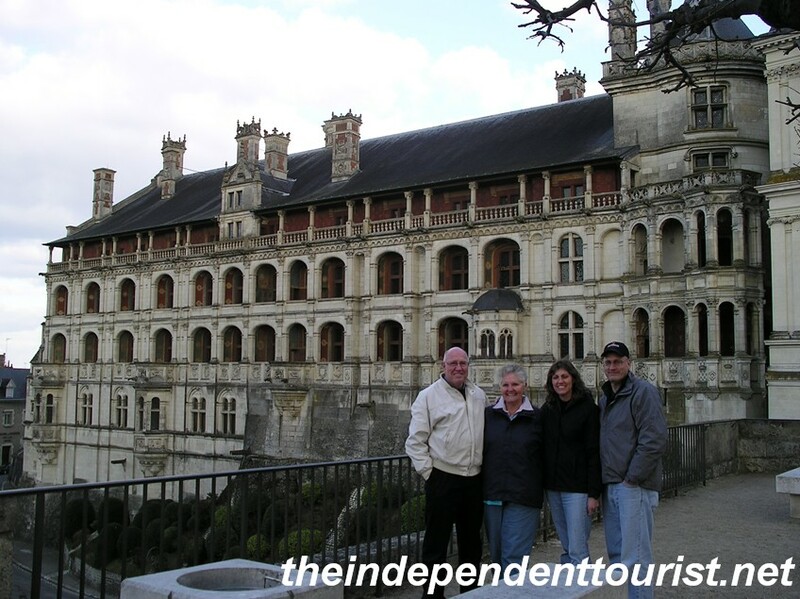 Although the chateau itself is a bit smaller than some of the others, the setting, town and overall feel of Amboise makes it a must-see location in the Loire Valley. 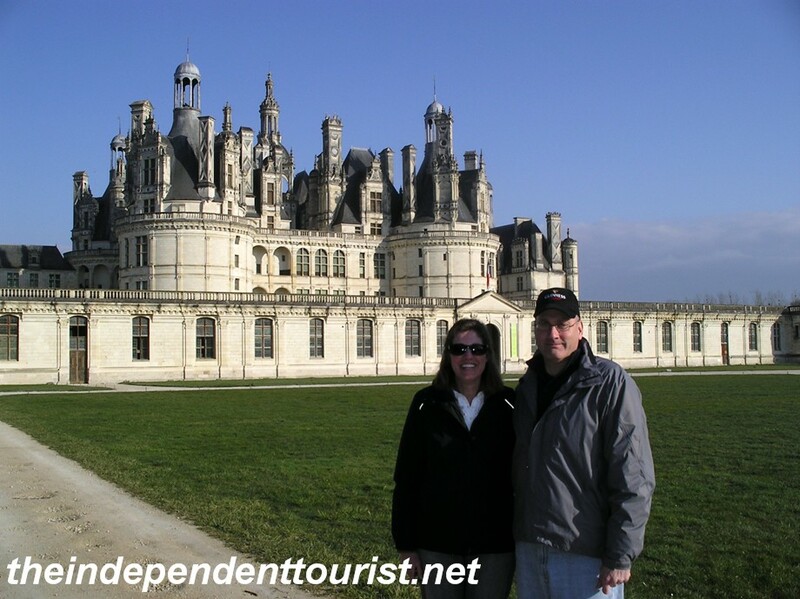 Posted in France and tagged Amboise, Chambord, Chaumont, Chenonceau, Things to see in France, Visiting the chateaux of the Loire Valley on May 19, 2014 by Paul Terry.